"Staff is friendly & well versed! They are also really awesome with kids & have very good equipment. I also LOVE how clean it is there. AWESOME DENTIST!!!" "Great experience with the Doctor and all their staff. They are very personable but most importantly very educated on the latest. Highly recommended!" "Dr. Lopez and staff are wonderful. I always feel comfortable even when I’m having work done. It’s always a pleasurable experience and my smile is now so much prettier." "Dr. Lopez and staff are wonderful. I always feel comfortable even when I’m having a lot of work done. It’s always a pleasurable experience and my smile is now so much prettier." Your teeth are one of the first things a person notices about you. Beautiful and shapely teeth can take years off your appearance and make you look livelier, happier and healthier. Injury or infection to the teeth (or just plain poor oral hygiene) can result in discoloration of the teeth and gums or malformation of the teeth. The team at Somi Dental Group specializes in cosmetic dentistry, and we can help you regain those beautiful pearly whites you will be so proud of. 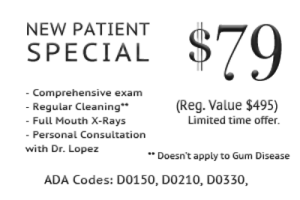 As a top South Miami dental clinic, we take pride in being able to treat all types of dental issues. Whether you need veneers or inlays & onlays, you can find a variety of treatments at your fingertips. We also offer internal tooth bleaching for people who have stained teeth. We use the KoR Deep Whitening System which uses state-of-the-art technology for teeth bleaching. By using medical-grade teeth trays coated with hydrogen peroxide, we quickly and effectively destroy the molecules that cause discoloration of your teeth, leaving behind spotless white teeth after only a few wears. 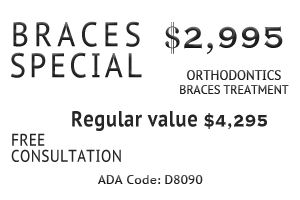 We also specialize in smile makeovers. From teeth straightening to coloring, you can expect end-to-end teeth care service with us. Now, you don’t have to hide your teeth behind that small smile. Smile big and let the world hear your laughter! Tired of not finding a dental practice that can take care of your entire family? Most dentistry clinics specialize in specific treatments or cater to specific groups of customers. This can make it very hard for parents to find a practice that can be the one-stop solution for the entire family’s dental care needs. Welcome to SOMI Dental Group! We are a dental practice based out of South Miami, Florida and we are operated by a highly respected dental practitioner, South Miami dentist Dr. Arnaldo A Lopez. We specialize in family and child-friendly dental care treatments, that are designed to benefit people of all ages. In our experience over the years, we have worked with hundreds of families, empowering them to take control of their dental health, one tooth at a time. Welcome to Somi Dental Group! We are a South Miami Florida dental center and we are operated by highly respected dental practitioner, South Miami dentist Dr. Arnaldo A Lopez. We specialize in family and child-friendly dental care treatments, that are designed to benefit people of all ages. In our experience over the years, we have worked with hundreds of families, empowering them to take control of their dental health, one tooth at a time. Our team has worked on hundreds of cases which have required every level of dentistry services. Qualified in various dental specialties, our team of dentists and orthodontists have helped children and adults experience relief and comfort through quality surgical and non-surgical care. We also offer laser dentistry for those patients who cannot or do not wish to go under the knife. Completely non-invasive, these laser-based dental treatments have a very short recovery time, allowing you to get back to your normal routine in no time. If you are sensitive to pain or feel that your fear of dental care treatment will prevent you from seeking the right treatment, let us know. We also specialize in sedation dentistry, and we use only the most gentle and comforting methods during our procedures. From the highest quality orthodontic products, like Invisalign braces and Fastbraces, you will find all you need at Somi Dental Group. Dr. Lopez is renowned dentist in South Miami and neighboring areas of Pinecrest, Coconut Grove, and Coral Gables, for his kind and approachable demeanor. He is a compassionate individual whose primary objective is patient safety and comfort. He has worked with hundreds of children, adults and senior citizens, helping them find their way to better dental health. With him by your side, you never need to worry about your or your family’s oral hygiene and health. Fastbraces are a revolutionary orthodontic technology that helps you realign your teeth and improve your bite using specially designed braces. Unlike traditional square braces, Fastbraces have triangular shaped brackets and a superelastic wire that help align the tooth’s root and the crown simultaneously, thus taking less time to align the entire tooth structure. With Fastbraces, you can expect to see results in less than a year’s time, and in some cases, even within 3 months’ time. Invisalign are clear aligners made with cutting-edge technology and using SmartTrack material that helps correct your teeth structure and improve your smile and dental hygiene. It’s ease of use and history of providing quick and effective results have made it a popular go-to treatment for many seeking teeth correction procedures. With Invisalign you do not need to worry about wires and braces anymore, as you have a set of soft aligners to give your teeth the shape and smile you deserve. Veneers, especially porcelain veneers, make for the perfect cosmetic addition to your tooth since they match your tooth’s color perfectly giving it a natural look. Also, porcelain veneers have the capability of reflecting light just like natural tooth enamel does, thus giving your teeth a natural look. They are wafer-thin shells that bond well with the front portion of your teeth giving it a fresh, clean new look with proper shape. Veneers are often prescribed by Dr. Lopez to correct chipped, stained teeth or gaps between teeth. A dental crown is a cap placed over a tooth to protect it from wear and tear. Crowns resemble a real tooth and help in restoring the shape, size, structure, and strength of a tooth that has suffered severe decay or has undergone a root canal treatment. 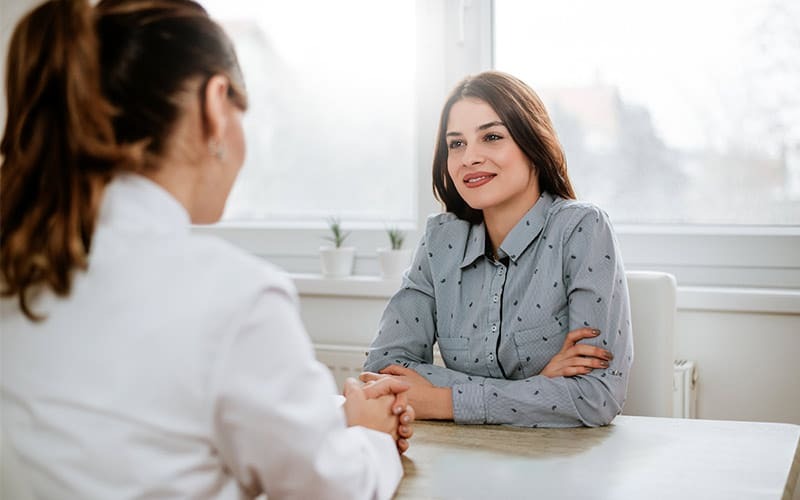 Your doctor at Somi Dental Group may recommend you have a dental crown installed if your tooth has undergone extensive decay and is in need of a filling or a root canal treatment. If a long-term tooth replacement is what you’re looking for, then a dental implant is the best option. Dental implants are made from superior-quality material which is designed to withstand wear and tear over time. They are also screwed onto the jaw, making them a permanent fixture. Both of these factors make the implants a premium-quality and long-lasting solution. The dental implant is custom-designed to suit the shape of your jaw, and the color is made similar to the rest of your teeth. In addition to our other services, our team also specializes in periodontal treatments. The periodontal tissues are the tissues that make up the gums and the tissues that hold the teeth in place. As part of these treatments, our specialists analyze the status of your periodontal tissues and evaluate whether you are vulnerable to gum disease or not. We use the LANAP periodontal regeneration technology which utilizes variable length laser rays to destroy diseased tissues and stimulate the growth of fresh tissue in the affected area. This allows us to be as non-invasive as possible, ensuring the safety of the rest of the teeth and gums. Schedule your appointment and let Somi Dental Group give you a beautiful, healthy smile. Contact us today! At Somi Dental Group, all of our services are designed to fit the needs, time and budgets of families. Mothers fathers, and kids can all find an answer to their dental troubles here. Now, you won’t need to go visiting multiple dental clinics for treatment. Just book an appointment with us and bring the entire family along. Some of your young ones may be coming in for their very first dental check-up, and you may be nervous about their very first treatment. There is no need to worry. Our team has worked with children of all ages, right from infants to adolescents and we have crafted an extensive selection of dental services that can be personalized to suit your child’s exact requirements. As a premiere dentist South Miami trusts and depends on, parents will always be involved when we are crafting a treatment plan for your child. You will be consulted and your input will be taken during each step of the treatment.